Many Elks Lodges nationwide have parks in which to stay when traveling across this great nation. While staying at our park, you will have access to 13 parking spaces to choose from. Each space comes with water, electrical hook-ups to help you enjoy your stay with us. 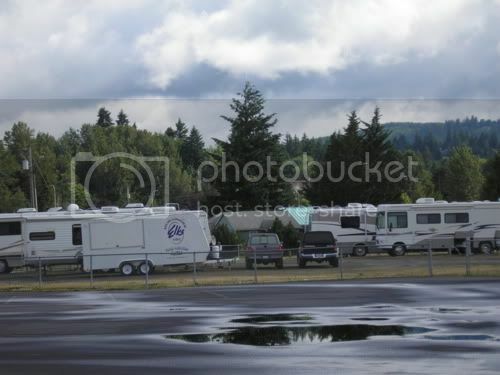 There is also a dump site available to help you get ready for the road ahead. Our park is close to many convient stores and tourist sites in our wonderful cities. We are 1 hour away from Mt. St. Helens Volcano and the Pacific Ocean Beaches. Our local Golf Course is just 10 minutes away from our lodge along the Cowlitz River. Our lodge is equiped with WI-Fi in case you need to check your E-mails and get caught up on whats happening at home. Our home is yours. Our social area is just one of the features of our our great lodge. Where members can come and feel welcome and safe from the pressures of the outside world. Our staff is always friendly and helpful to make sure that your stay is a pleasant one. We always have some event happening in our lodge, for you to be part of or sit back and just enjoy as a social member. Our Hours of operation are: Sundays-2am. to 9pm. ; Monday thru Wednesday-11am. to 10pm. ; Thursday thru Saturday.-11am. to 12pm. 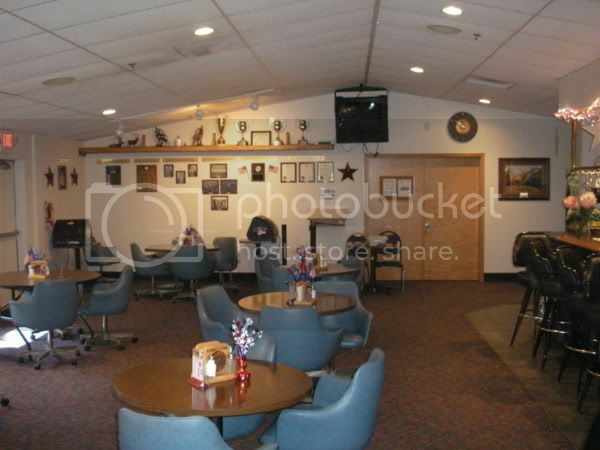 Our multi-function Ballrroom/Lodge room helps our members enjoy all aspects of being and Elk. 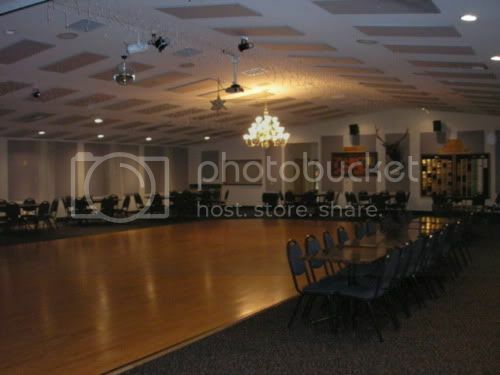 From lodge night meetings to large dances this Ballroom is the pride of our lodge. This facility is always in use from rentals to our own functions to raise money for our programs.